This addon lets you display “Forums” tab in User Profile pages. Forums tab contains the following subtabs. 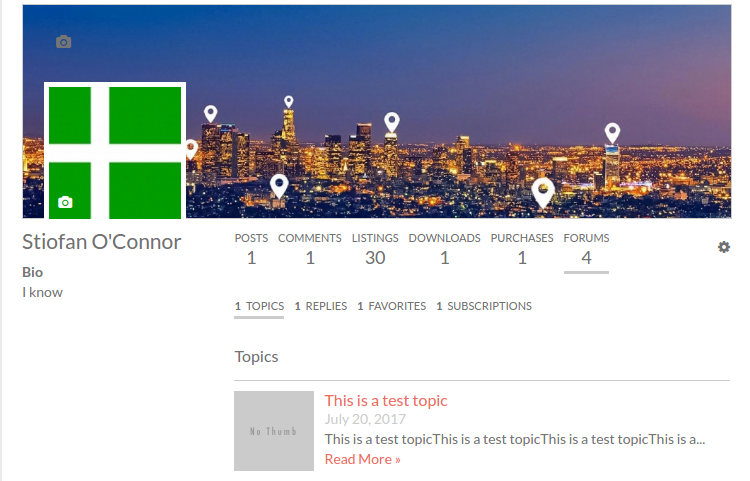 Topics – Displays the forum topics created by the user. Replies – Displays the forum replies created by the user. Favorites – Displays the topics favorited by the user. Subscriptions – Displays the forum topics subscribed by the user.